Moeke Mooren has a wide array of meeting packages, ranging from 4-hour to multiday. 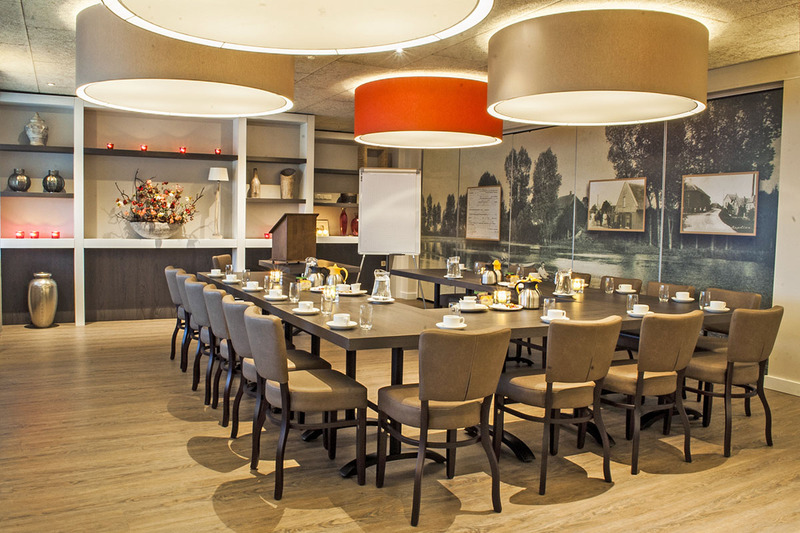 Being centrally located in the Netherlands, we offer the perfect location for all your meetings! For meetings within Moeke Mooren we have put together luxurious meeting packages. Are you looking for a unique and centrally located meeting space in the Netherlands? Moeke Mooren has a beautiful location by the Meuse river, on the border of the provinces of Gelderland and Brabant. Moeke Mooren offers various meeting packages. Planning a short or an all-day meeting? Go for the 4-hour or 8-hour packages. For longer meetings you can opt for the 16-hour or 32-hour meeting packages that of course are combined with overnight stay(s) in our 4-star hotel. Soup of the day with luxurious mini baguettes and an array of choices of fillings. Lunch: Soup of the day with luxurious mini baguettes and an array of choices of fillings. 2 x lunch: Soup of the day with luxurious mini baguettes and an array of choices of fillings. For more information and reservations please reach us through +31 487 541872 or send us an e-mail .